Water Polo development has quickly progressed in Vanuatu as it plays upon cultural values of team sport. 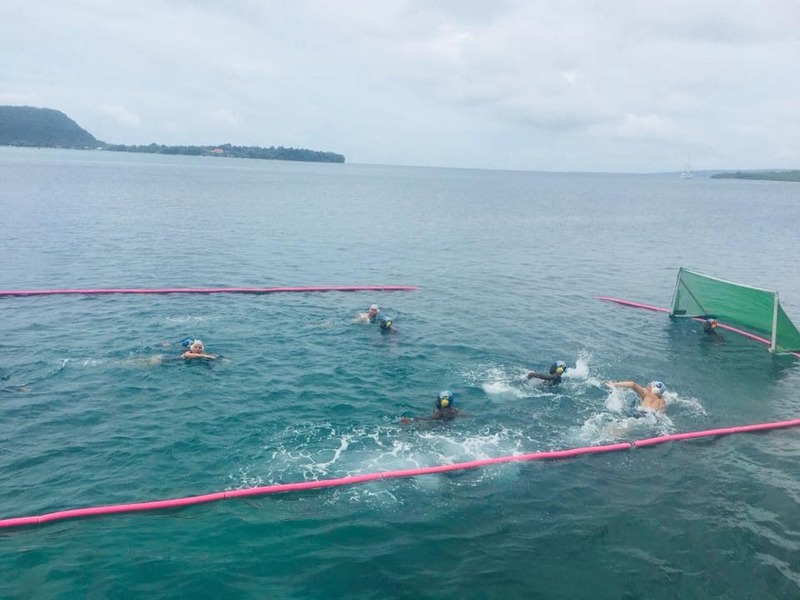 Vanuatu Aquatics Federation (VAF) has held training clinics over the last year, training up a skilled squad who are looking for some competition. VAF is set to host their first international competition, the Azure International Water Polo Tournament, on the 27th of January. Teams will include both local and overseas groups. Games are played in the beautiful and clean Port Vila harbour where spectators and general public have a great vantage point to watch the talent rising in the country. FINA have awarded VAF a FINA Water Polo Officials Clinic on the 3rd of July which VAF invites all Oceania National Federations to join them in this week-long Water Polo Clinic where you will be taught the fundamentals of both skill development and officiating. This FINA approved course will take place over 3 days and combined with Azure International Water Polo Tournament at the conclusion of the course so participants can put their new skills into action. FINA Water Polo Officials course will be during the day whilst the afternoons will be spent in the water practising all the skills learnt through the day with qualified Coaches and Lecturers. Friendly scrimmage games will be played in the lead up to the competition on the 7th July. followed by their International competition so participants can put their new skills into action. Vanuatu Aquatics are hoping to have interest from other oceania countries getting into the sport to help establish regular water polo competition in the region.